LOCATION: 199 Bay Rd, Fort Myers Beach, FL 33931. HOURS: Open from dusk to dawn, seven days a week. DESCRIPTION: A 60-acre parcel with loop trails that pass through mangrove swamp. 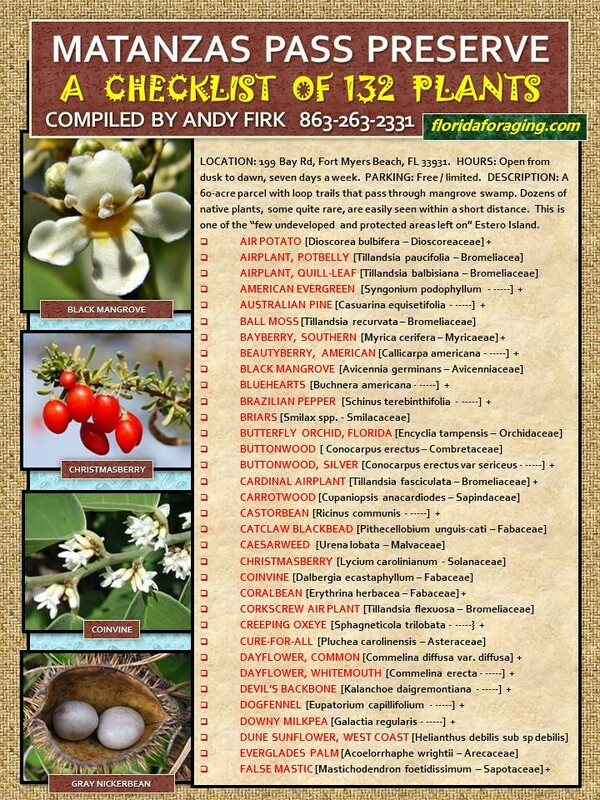 Dozens of native plants, some quite rare, are easily seen within a short distance. This is one of the “few undeveloped and protected areas left on” Estero Island.